You might be surprised to know there truly is an art to sending holiday cards. 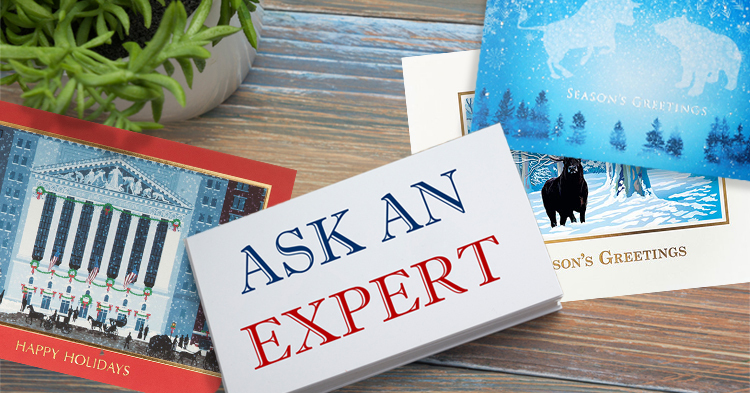 After more than 25 years providing greeting cards for financial professionals, we have picked up on a few tips for connecting with your clients during the holidays. Don't include a business card! Make this the touchpoint of the year that isn't about sales or business. Don't send too late! Ordering your cards early allows for plenty of time for sending, and not making your clients feel like an afterthought. Do hand address your envelopes & post with a real stamp! In a digital world, this analog touch is appreciated - and your card is more likely to be opened. Do make it about them - a quick line about a family milestone or accomplishment from the year signals that you've paid attention and have many aspects of their life - not just their investments - at top of mind. Do send early! 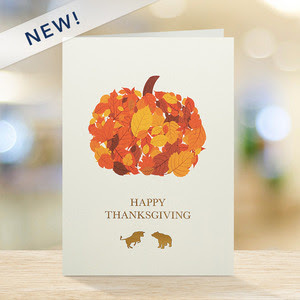 The cards that arrive for Thanksgiving or just after will usher in the season and stay on the mantel a few days longer. We wish you a wonderful holiday season and happy card-sending! This entry was posted in Uncategorized on October 27, 2016 by wallst_greet. 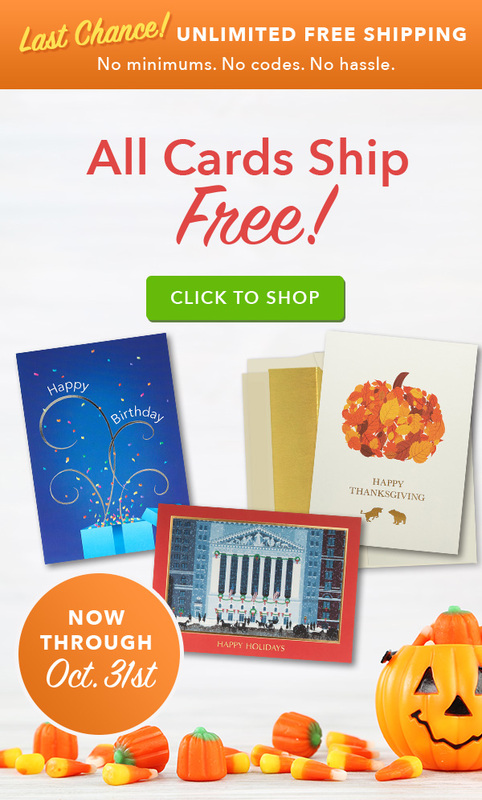 Now through October 31, all cards ship via UPS Ground for free! 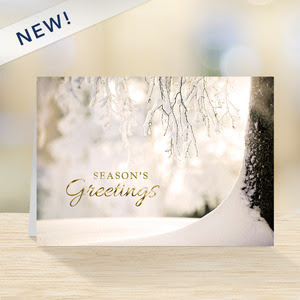 Get your holiday card shopping done now - Thanksgiving, Christmas, Holiday & New Year cards apply - shop now for best selection! This entry was posted in Uncategorized, Corporate Greeting Cards, Holiday Greeting Cards, Wall Street Greetings, Free Shipping and tagged business relationship, corporate greeting cards, Wall Street Greetings, greeting cards, free shipping on October 24, 2016 by wallst_greet. 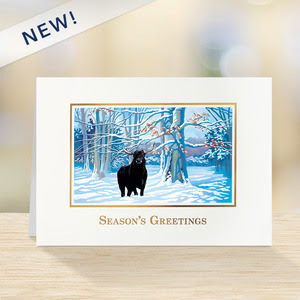 Now is the time to buy your holiday cards! The best selection, quick turnaround time, and eliminating stress are just a few of the reasons you should shop now! And - there are three great ways to save! 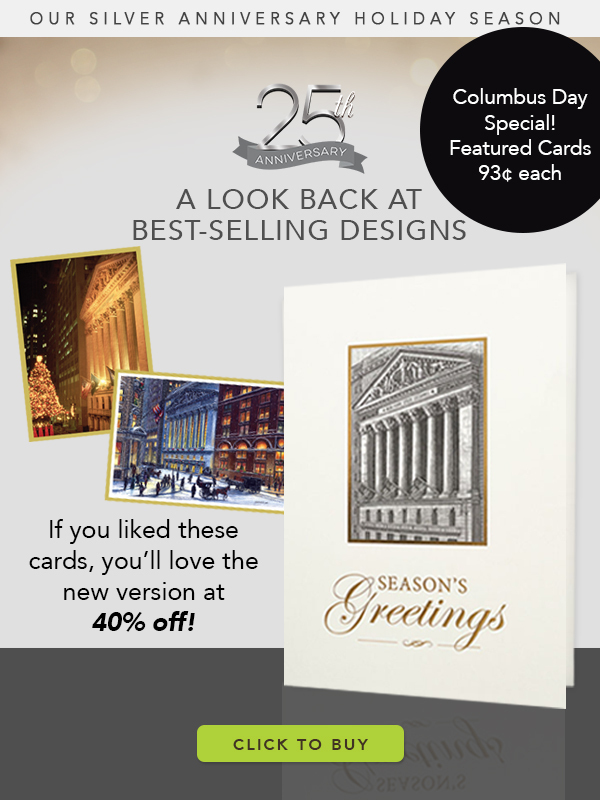 Corporate Partners enjoy 30% off all regularly priced cards, every day. Non-Corporate Partners, you receive quantity discounts at 500 and 1,000 cards. Everyone gets free UPS Ground shipping on orders valued $350 and above. 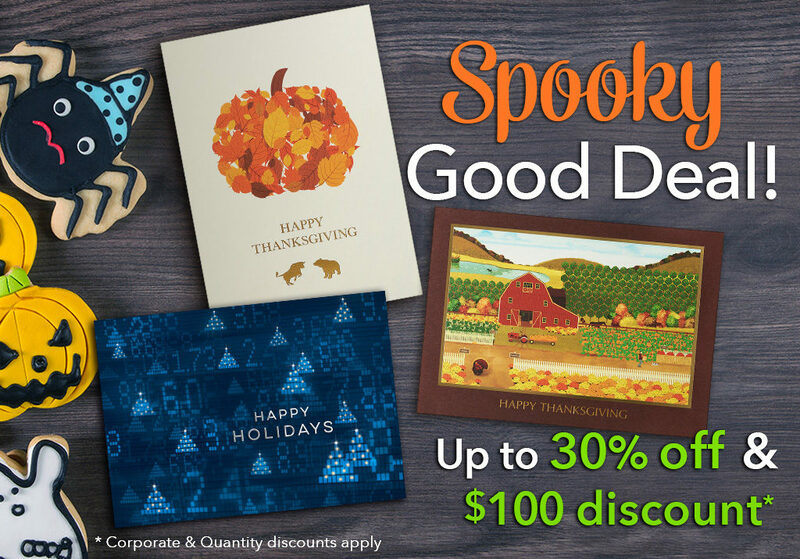 Truly, savings so good, it's spooky - no tricks! This entry was posted in Uncategorized on October 18, 2016 by wallst_greet. It's certainly that time of year - leaves are turning, the air is crisper, and yes -- our senses are in tune with all things pumpkin! The holiday energy and activity has arrived too, and with it big appetites among our crew for all things comforting and delicious. Marketing & National Accounts Manager, Stephanie Arnold waits all year for the season to share her mom's Pumpkin Bread. It's already made two (!) appearances at the office this autumn, and many more are sure to follow. 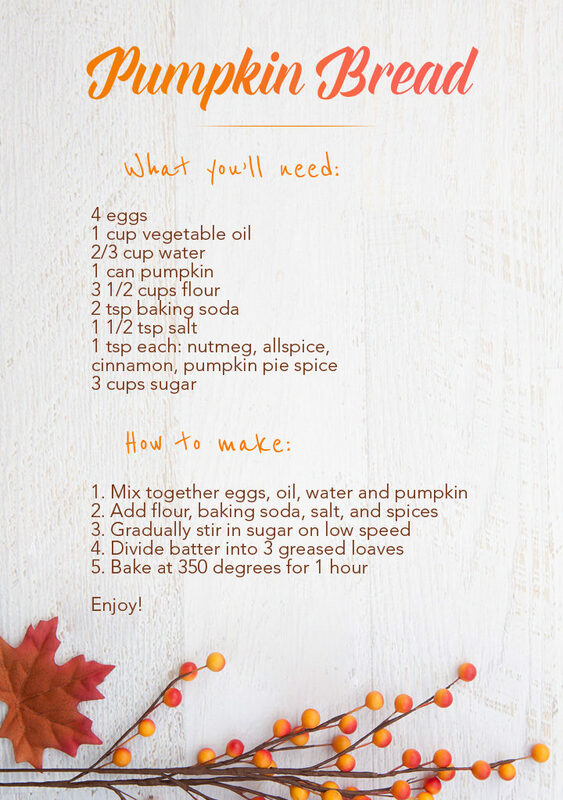 She shares the recipe today here with you - hope you and yours enjoy it, too! This entry was posted in Uncategorized on October 14, 2016 by wallst_greet. New Cards on Clearance - Don't Miss These! We've added some great new designs to our Holiday Clearance designs. Shop now before they're all sold out! And don't forget - all orders valued at $350 and more receive FREE Ground Shipping, every day! This entry was posted in Uncategorized, Corporate Greeting Cards, Holiday Greeting Cards, Wall Street Greetings, Free Shipping on October 13, 2016 by wallst_greet. As all businesses do at some point, in 2016 Wall Street Greetings encountered a point of opportunity for change and growth. Facing transition in both sales and marketing roles internally, the leadership team - headed by President Mary Ellen Harden - turned to C-Suite consultants Chief Outsiders for expertise, guidance, and ultimately a game plan. What came from weeks and months of analysis, brainstorming, and strategy sessions was a renewed commitment to all facets of marketing: traditional, digital, and social. It has been an exciting time for our team to redefine goals and sharpen our focus! You can read more on our collaboration, and see a more extensive look at the Chief Outsiders-Wall Street Greetings collaboration here. 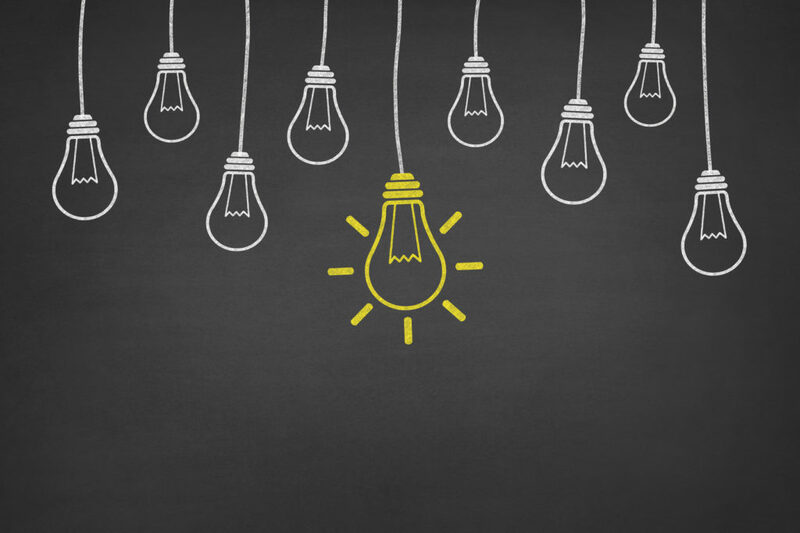 Has your business outsourced expertise? What has been successful for you? We'd love to hear your story! This entry was posted in Uncategorized on October 11, 2016 by wallst_greet. Surprise! Flash sale - today only! 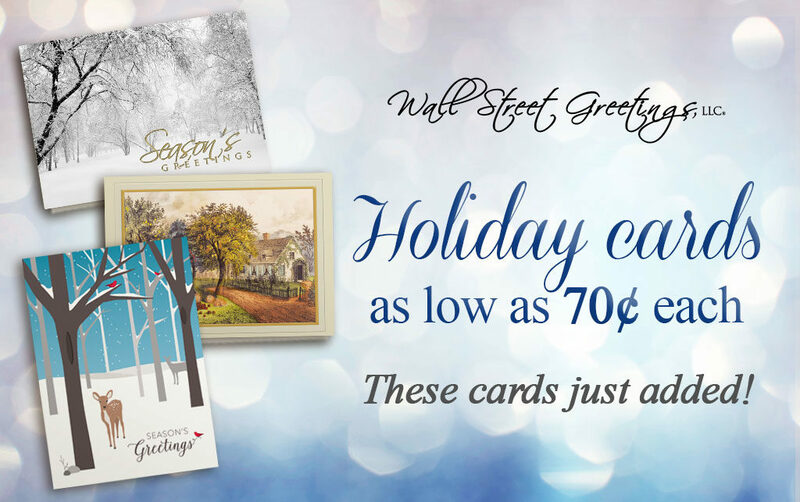 In honor of two of our best-loved Wall Street cards, these featured financial-themed holiday cards are just 93¢ each. Shop now! This entry was posted in Corporate Greeting Cards, Holiday Greeting Cards, Wall Street Greetings, Holidays and tagged christmas cards, financial greeting cards, wall street, holiday cards on October 10, 2016 by wallst_greet. 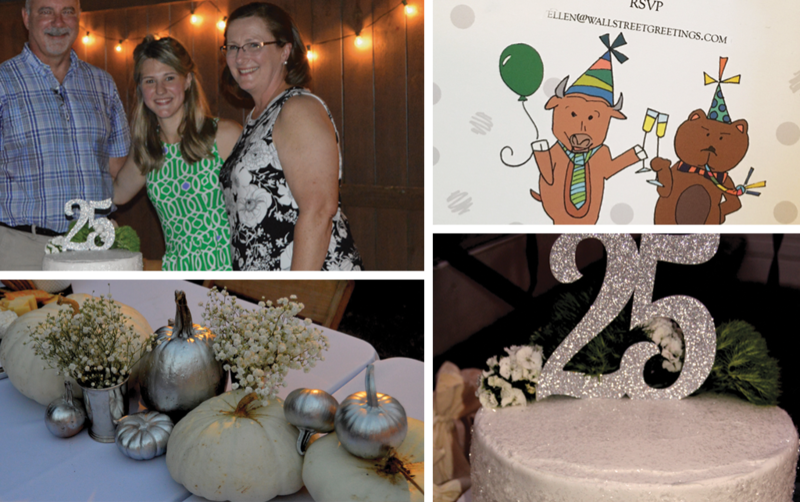 On a warm fall evening, our team gathered to celebrate our company's 25th Anniversary. It was an evening among friends to reflect, to remember, and indeed to pop the bubbly! We thank you so much for your partnership and business through the years. Our sincerest hope is that the quality of our cards is matched by our customer service and commitment to excellence. We are grateful for every day we get to do this work, and partner with you to enhance your relationships and strengthen your business. To the next 25! This entry was posted in Uncategorized on October 7, 2016 by wallst_greet. It is our great pleasure to partner with you as you enhance your client relationships year after year. 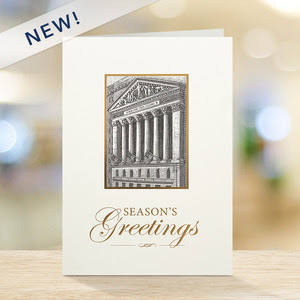 There are many different occasions through the year for which a greeting card is appropriate and welcome. The holidays, though, present a unique opportunity to reflect on another year passed and look ahead to prosperous and meaningful days ahead. 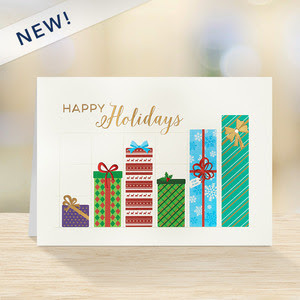 As you plan to connect with your clients through the 2016 holiday season, we submit our Top 5 Financial Cards. These distinguished, classic designs will send warm greetings - and a message of discerning taste. See all Thanksgiving, Christmas, and holiday cards here! This entry was posted in Corporate Greeting Cards, Holiday Greeting Cards, Wall Street Greetings, Holidays, Business and tagged financial advisor, corporate greeting cards, Wall Street Greetings, christmas cards, financial cards, bull & bear on October 5, 2016 by wallst_greet.